Joan Tan is professor of the College of Foreign Languages at Hunan University, China, a fellow of the Royal Asiatic Society in the UK and Director of The Center for Gary Snyder Studies. 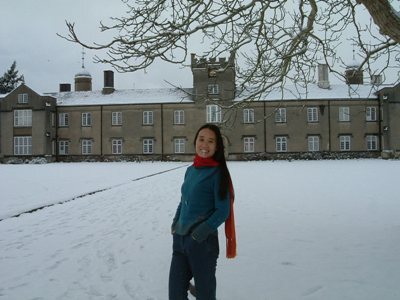 She received her Ph.D. in English in 2008 from the University of Wales, where she has recently been a part-time lecturer at the Centre for Chinese Studies. She is currently carrying on her research on Gary Snyder’s ecopoetics and Han Shan’s revival as an honorary research fellow in the English Department at the University of Wales. Qionglin Tan, Towards Gary Snyder’s Buddhist Ecopoetics and the De-romanticizing of Oriental Culture in His Works, sponsored by the Ministry of Education, China, 2009, RMB 70,000. Qionglin Tan and Deng Chen, Comprehensive English Web-Course for English Majors, sub-project of New Epoch Web-based Courses Construction sponsored by the Ministry of Education, China and Higher Education Press, 2001-03, RMB 220,000. Qionglin Tan and Deng Chen, Cultural Factors in the English Translation of Chinese Classical Poetry, approved by the Education Commission of Hunan Province, 1999. (Brighton & Portland: Sussex Academic Press, 2009). Caspar W. Weinberger, Fighting for Peace: Seven Critical Years in the Pentagon, trans. by Qionglin Tan and others (Beijing: Xinhua Press, 1991). (Changsha: Hunan University Press, 1997). Qionglin Tan, ‘Ekphrasis: A New Disciplinary Science of Humanities’, English and American Literary Studies, 12 (2010), 301–19. Qionglin Tan, ‘”The Power of Stillness” in Ezra Pound’s “Canto XLIX”‘, Foreign Literature Review, 2 (2010) 18–29. Qionglin Tan, ‘Ekphrasis and Adaptation: Keats’s Grecian Urn in Modern American Poetry’, Foreign Literature Studies, 32.2 (2010), 26–39. Qionglin Tan, ‘A Song Handscroll Streams and Mountains Without End and Gary Snyder’s Ekphrastic Poem “Endless Streams and Mountains”: Perspectives on Guo Xi’s Essays on Landscape and its Embodiment in Modern American Painter Poems’, Journal of Foreign Languages 1 (2010), 54–62. Journal of Translation Studies, 11.2 (2008), 31–53. Journal of Hunan University, 15.2 (2001), 87–90. Journal of Hunan Teachers’ Institute, 1 (1997), 12–17. Journal of Hunan University, 1 (1997), 47–50. Journal of Hunan University, 1 (1997), 56–59.